Apologies for the lag in posts! Well, I graduated from Georgetown with my BSFS! Woohoo! I am, however, in a five-year BSFS/MA program, so this past year I was a senior as well as a first-year graduate student. I technically have one more year of school left -- a "victory lap" if you will. I will fill you in on my travel plans shortly, but until then, as part of my hobby of monitoring all popular culture related to Central Asia, I must share with you two videos from Jimmy Kimmel featuring an interview with Mel brooks dressed as the President of Turkmenistan. I must confess this video is a few months old, but I just saw it today. First, Mel Brooks looks nothing like Berdimukhamedov, images of whom appears below. Kimmel, of course, can get away with this because so few people have heard of Turkmenistan. This is so revealing about how poorly informed the U.S. public is when it comes to international politics, geography and Central Asia. After all, why should people know of the country? It neighbors Iran and Afghanistan, contains the world's second largest deposits of natural gas (independently confirmed by British firm Gaffney, Cline & Associates in 2011) and has authorized the U.S. military to use Turkmen air space for US and NATO supply routes to-and-from Afghanistan. (please note my sarcasm). With that said, Turkmenistan has a population of a little over 5 million and is in desperate need of private investment into their O&G resources. 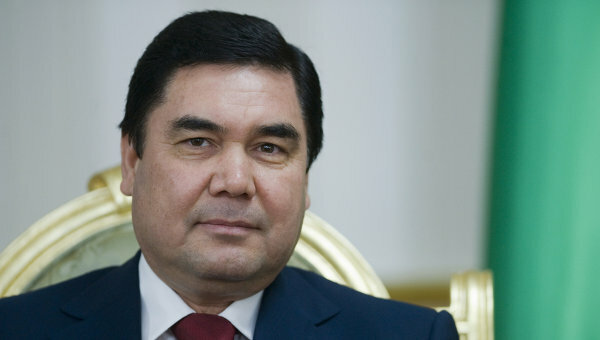 The Turkmen foreign policy of "positive neutrality" stipulates that Turkmenistan does not take sides in international affairs, which has effectively precluded it from participating in regional economic and diplomatic initiatives while excluding itself from the international community. The regime's human rights record also leaves much to be desired. 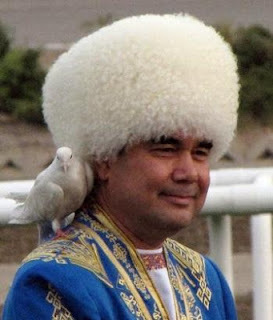 Niyazov, or Turkmenbashi (father of the Turkmen), formerly ruled Turkmenistan until his death in December 2006, at which point Berdimukhamedov, who was Minister of Health and Niyazov's dentist, assumed the Presidency. While this was a peaceful transition of power, it was neither transparent nor democratic. Turkmenistan continues to be one of the most isolated and strictly governed countries in the world. To give credit where credit is due, however, Berdimukhamedov is taking the lead in promoting the Turkmenistan-Afghanistan-Pakistan-India (TAPI) natural gas pipeline. I genuinely think TAPI is a pipe dream given the security situation in the region, but Berdi is certainly working hard diplomatically to get it through. While Turkmenistan relies on natural gas exports, the country purchased GE power plants several years ago. Turkmenistan now exports electricity to neighboring countries, including Northern Afghanistan (who said you can't have a regional solution to Afghanistan's development post-2014?) . The white hat Mel Brooks is wearing is not entirely inaccurate and slightly resembles a traditional "telpek" Turkmen hat made of sheepskin. The telpek most frequently comes in black, but is also available in white and brown depending on the sheep. Brooks' flowy, Asiatic robe with an arabesque, curvilinear decorative lining is also fairly representative of Turkmen culture. Granted, each Turkmen tribe (there are five major ones) has their own design, which is evident in the Turkmen flag. However, I am sure some scholars would argue this is the Orientalist depiction of "savage Tartary."